Digital media have increased the choice of response mechanisms. We will look at online and offline response mechanisms that need to be considered for both online and offline campaign media. Reviewing response mechanisms is important since too narrow may limit response, but too broad and unfocused may not give the right types of response -marketers need to emphasise the response types most favourable to the overall success of the campaign. Policies for response mechanism across campaigns should be specified by managers to ensure the right approach is used across all campaigns. Figure 8.8 suggests the typical option of outcomes to online campaign media. From the creative such as a display ad, pay-per-click ad or rented e-mail newsletter, there are four main options. Site typically owned by a retailer or manufacturer brand which users are encouraged to click through to. In the majority of cases, investment in online media will be wasted if visitors are driven from the media site to the home page of the destination web site. Typically it is appealing to many audiences and offering too much choice - it won't effectively reinforce the message of the online creative or convert to further action. Campaign URLs or CURLs are commonly used today, the idea being that they will be more memorable than the standard company address and blend in with the campaign concept. For example, an insurer used the CURL www.quotemehappy.com, a mortgage provider www.hateyourmortgage.com and a phone company www.sleeptomorrow.com, which are memorable elements of the campaign. A facility available on the web site for a company to contact a customer at a later time as specified by the customer. In this case the creative or the landing page encourages campaign respondents to 'talk' directly with a human operator. It is usually referred to as a 'callback service' and integrates web and phone. Buttons or hyperlinks encourage a callback from a telephone operator or an online chat. The advantage of this approach is that it engages the customer more and will typically lead to a higher conversion-to-sale since the customer's questions and objections are more likely to be answered and the personal engagement is more likely to encourage a favourable impression. Because part of a campaign is run online does not mean that offline responses should be excluded. Offline response mechanisms should not be discarded unless the cost of managing them cannot be justified, which is rarely the case. Figure 8.9 gives an example of best practice offering a range of response mechanisms. The web site is used as a response mechanism for offline campaign elements such as direct mail or advertising. We also need to include the right response mechanism for the offline media element of the campaigns such as TV ads, print ads or direct-mail pieces. The permission-based web response model (Hughes, 1999) is one that is frequently used today in direct marketing (Chapter 6). 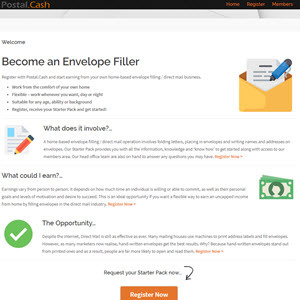 For example, this process could start with a direct mail drop or offline advert. The web site is used as the direct response mechanism, hence 'web response'. Ideally, this approach will use targeting of different segments. For example, a Netherlands bank devised a campaign targeting six different segments based on age and income. The initial letter was delivered by post and contained a PIN (personal identification number) which had to be typed in when the customer visited the site. The PIN had the dual benefit that it could be used to track responses to the campaign, while at the same time personalising the message to the consumer. When the PIN was typed in, a 'personal page' was delivered for the customer with an offer that was appropriate to their particular circumstances. 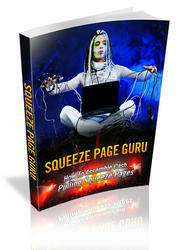 Learning About How To Be A Squeeze Page Guru Can Have Amazing Benefits For Your Life And Success! How To Assemble Cash Pulling Squeeze Pages! Prior to you beginning the endeavor of building a successful list or producing a mighty sales page, you'll want to begin with a rigorous introduction to Squeeze Pages.